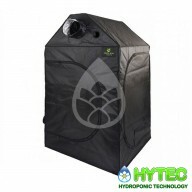 The Roof Grow Tent is a great solution for those who want to grow in a loft or attic space. The Roof tents are high quality and the slants in the roof mean that this tent will help you take advantage of the space you have. 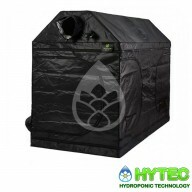 The ideal tent for growing in a loft or attic.Helps you to create an ideal grow environment in a loft space or attic with a slanted/pitched ceiling. ELITE ROOF TENT 100CM X 100CM X 160CM The Roof Grow Tent is a great solution for those who want to grow in a loft or attic space. The Roof tents are high quality and the slants in the roof mean that this tent will help you take advantage of the space you have. The ideal tent for growing in ..
ELITE ROOF TENT 120CM X 120CM X 160CM The Roof Grow Tent is a great solution for those who want to grow in a loft or attic space. The Roof tents are high quality and the slants in the roof mean that this tent will help you take advantage of the space you have. The ideal tent for growing in ..
ELITE ROOF TENT 140CM X 140CM X 160CM The Roof Grow Tent is a great solution for those who want to grow in a loft or attic space. The Roof tents are high quality and the slants in the roof mean that this tent will help you take advantage of the space you have. The ideal tent for growing in ..
ELITE ROOF TENT 150CM X 150CM X 160CM The Roof Grow Tent is a great solution for those who want to grow in a loft or attic space. The Roof tents are high quality and the slants in the roof mean that this tent will help you take advantage of the space you have. The ideal tent for growing in ..
ELITE ROOF TENT 200CM X 200CM X 160CM The Roof Grow Tent is a great solution for those who want to grow in a loft or attic space. The Roof tents are high quality and the slants in the roof mean that this tent will help you take advantage of the space you have. The ideal tent for growing in ..
ELITE ROOF TENT 240CM X 120CM X 160CM The Roof Grow Tent is a great solution for those who want to grow in a loft or attic space. The Roof tents are high quality and the slants in the roof mean that this tent will help you take advantage of the space you have. The ideal tent for growing in ..
ELITE ROOF TENT 300CM X 150CM X 160CM The Roof Grow Tent is a great solution for those who want to grow in a loft or attic space. The Roof tents are high quality and the slants in the roof mean that this tent will help you take advantage of the space you have. The ideal tent for growing in a loft..
ELITE ROOF TENT 300CM X 120CM X 180CM The Roof Grow Tent is a great solution for those who want to grow in a loft or attic space. The Roof tents are high quality and the slants in the roof mean that this tent will help you take advantage of the space you have. The ideal tent for growing in a loft..